My heart hurts for those around the world who have been disrespected by our President’s recent words. Such dismissive and ignorant views are not a reflection of American values and certainly not representative of our nation. 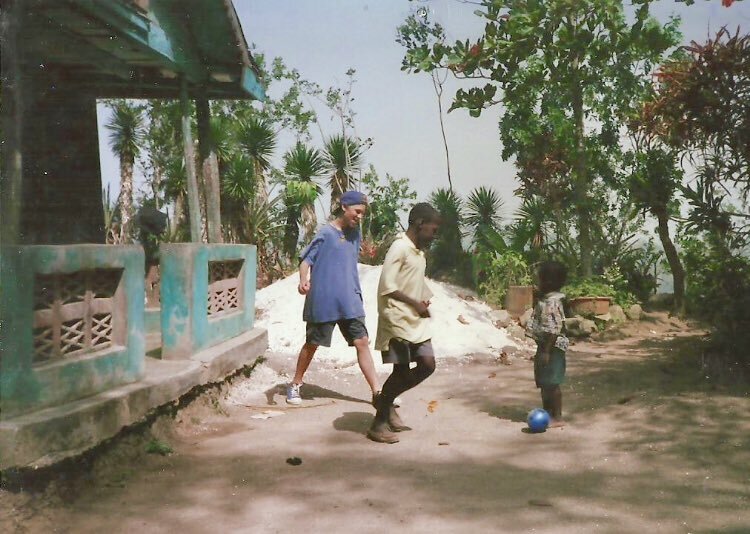 When I was 10 years old, I traveled to Haiti with my mother and a small group from my school. The natural beauty was breathtaking, the culture was bright and colorful, and the people couldn’t have been more warm and friendly – despite many having next to no possessions. This photo was taken in a small mountain village called St. Etienne where we slept on a church floor for a week. The boy on the left and I became friends and we stayed in touch through writing letters. disgusting way is humanity at its worst. To our brothers and sisters abroad, I’m sorry. Please know that we care deeply about you and the health of your nation’s people. We all deserve better than this.